Category Archives: Barn Quilt Champions. The people behind the movement! Posted in Barn Quilt Champions., Supporters & Sponsors. Suddenly on Friday August 30, 2013, as the result of an accident, Scott Gordon Patterson of R.R. 3 Newbury in his 53rd year. Scott was a born farmer. He became the next generation to care for the land and truly loved his farming life. He devoted more than 30 years to trucking sweet corn, making many life-long friends “in the corn patch”. He owned and operated a snowplow truck for the MTO for over 25 years, clearing the way for travellers on the 401. He was a faithful elder at St. John’s Presbyterian Church, Wardsville. Scott visited many ballparks in Southwestern Ontario, through his own days of playing baseball and then watching his daughters. He was passionate about all of his activities – but most of all he loved all his girls. His competitive nature, sense of humor and hard work ethic will remain in the hearts of his family, as they cherish his memory. They were truly blessed to have him in their life. 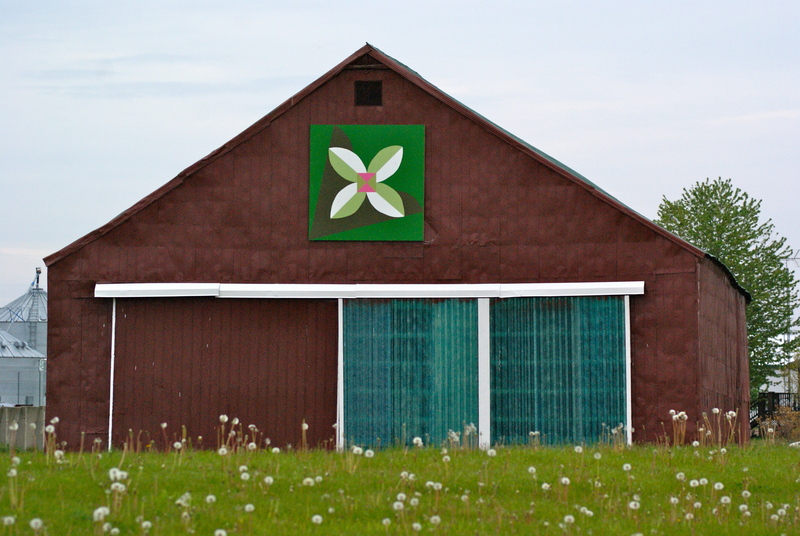 The goal of the Ontario Barn Quilt Trails project is to promote barn quilt trails throughout Ontario as a way to tell community stories. There will be a conference in October to share best practices and tools for implementing community barn quilt projects. The project will provide seed funding to a few communities to demonstrate how a project is put together. Barn quilts are already popping up across Ontario. What is needed now is a powerful on-line map where (1) communities can register their barn quilts, (2) where appreciators can discover and read the stories that go with the barn quilts (and plan their trip to visit them), and (3) where businesses and organizations can help promote the barn quilt trails. Posted in Barn Quilt Champions., Tips & Techniques., What's the impact?